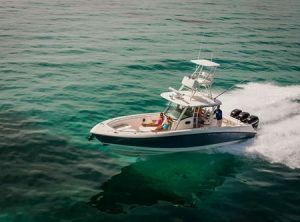 Largest model of the Outrage fleet and the pride of the design team at Boston Whaler, the 420 Outrage is powered by 4x Mercury ~V8 300 Verado engines that give exhilarating performance from this soft riding, deep V, unsinkable hull. 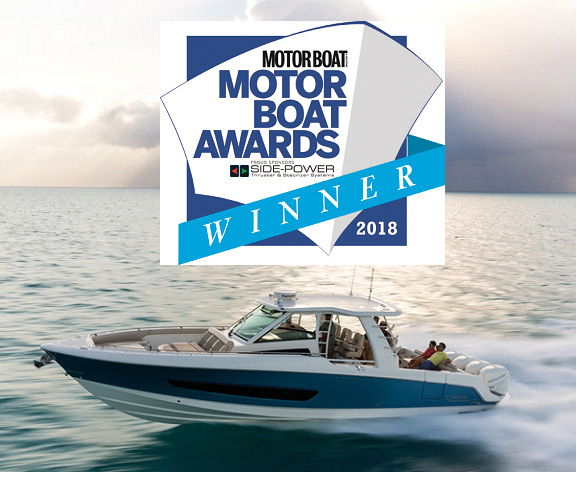 Following the exciting news of 420 Outrage as the WINNER of the prestigious SUPERBOATS Award Category of “Motorboat and Yachting’s” Motor Boat Awards 2018, international recognition of the supreme quality and design of the 420 has made this model even more desirable! 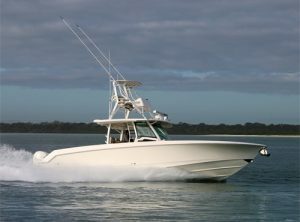 35 feet with 900 horsepower – fitted with 3x Mercury V8 300 Verado Four-stroke engines! 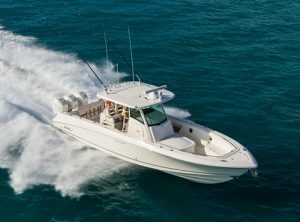 This exciting new boat from Boston Whaler offers superb handling with breathtaking performance and top quality construction. 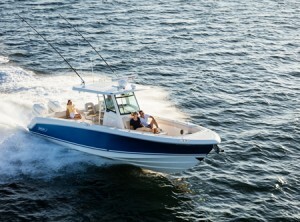 The fabulous new Boston Whaler 230 Outrage model is proving extremely popular! 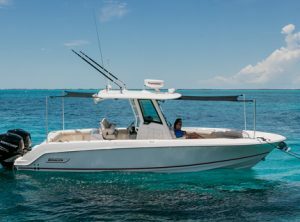 With a hull length of 23 feet ( 7.01 m ) and a beam of 8ft 6 inches ( 2.59 m ) the new 230 Outrage features a deep-V hull giving a soft dry ride and excellent all-round performance. 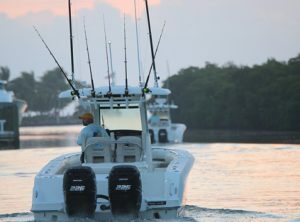 Check out the innovative new multi-functional Leaning Post! 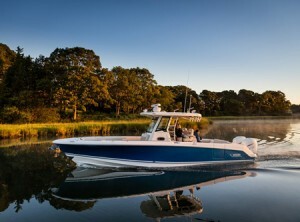 Deep V hull offering Whaler’s unique construction, built to last, high re-sale value worldwide, the genuine article! 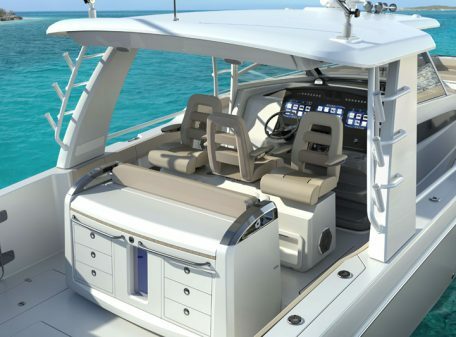 Centre console with screen and rail. 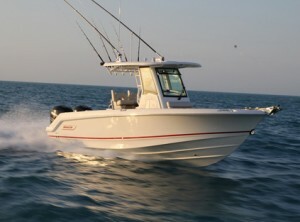 Hydraulic steering with tilt helm. 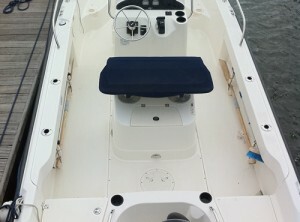 Upholstered stern quarter seats with backrest. 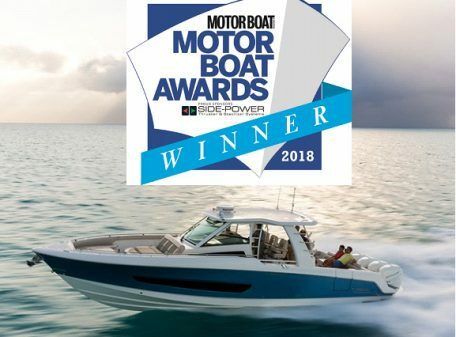 10 x year hull warranty. 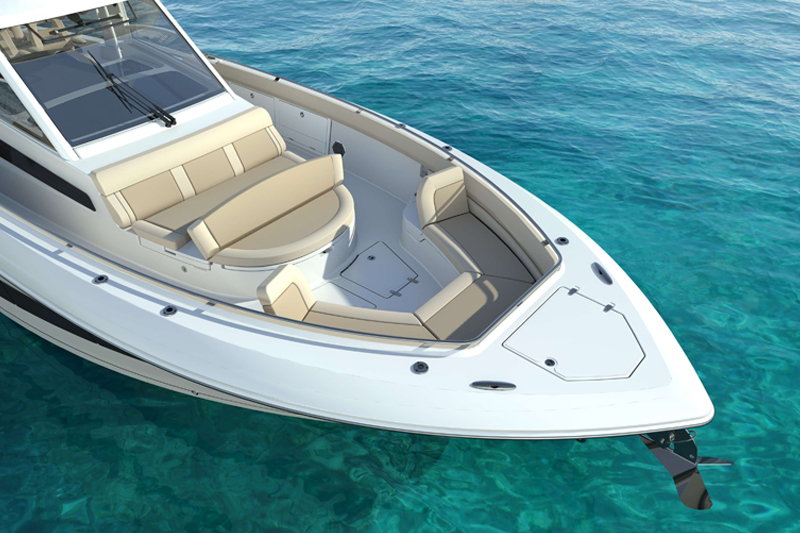 Popular optional extras : Bow cushion £710. Cooler seat with cushion and backrest £840. 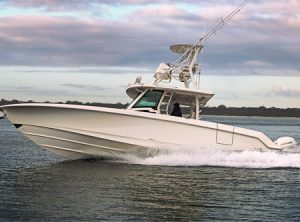 This fabulous new Boston Whaler 380 Outrage performs beautifully as an offshore fishing platform, an entertaining vessel, a yacht tender or all of the above, this completely new Outrage model offers full-spectrum pleasure and adventure. 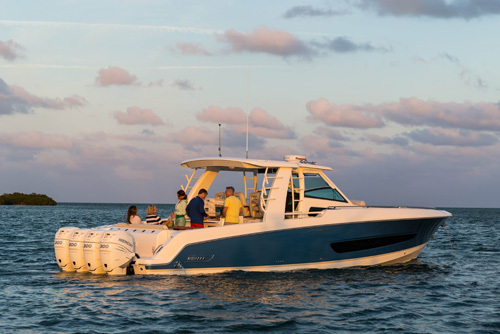 Featuring roomy, notched bow features, expansive seating and storage, the cockpit includes a new aft-facing couch with optional removable table and an optional Summer Kitchen – perfect for entertaining friends and family. 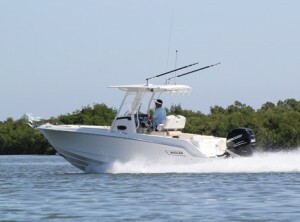 Powered by Dual Mercury V6 225 CXL Verado four-stroke engines providing effortless power. 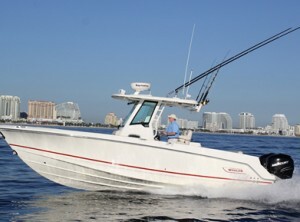 Classic Whaler quality. 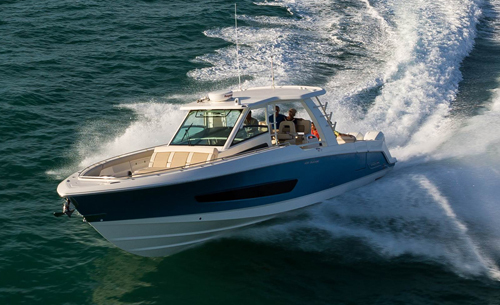 Fantastic performance and excellent sea-keeping. 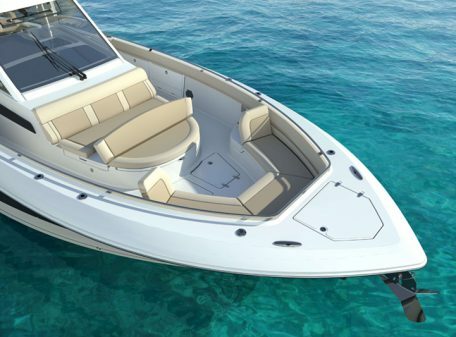 2019 Standard boat with Dual Mercury V6 225 CXL Verado 4-stroke Engines Open Helm (excluding Hard Top) from £133,205 Inc Vat. 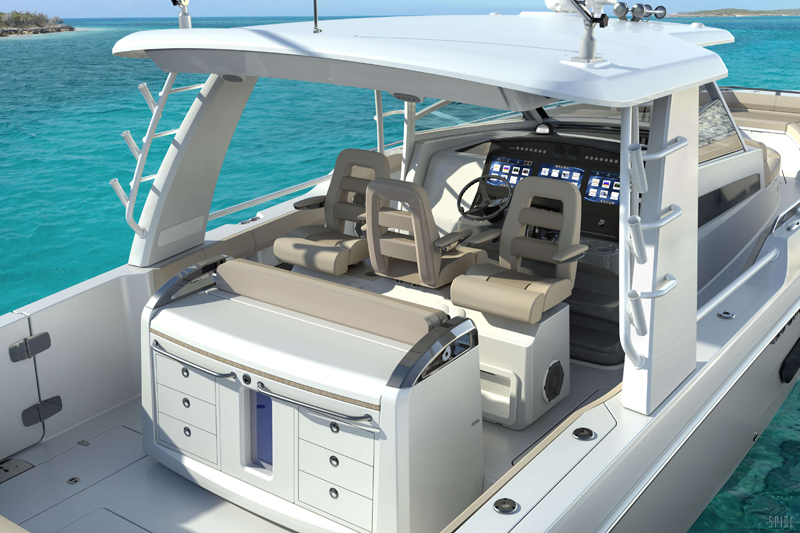 Standard configuration includes open centre-console with screen. 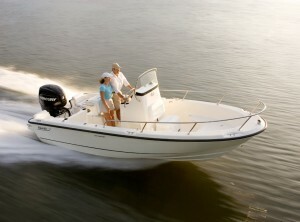 Fast and seaworthy, plus legendary Whaler performance. 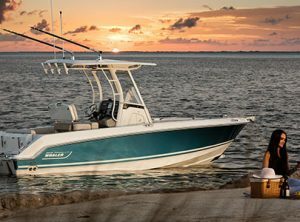 New to the legendary Boston Whaler Outrage lineup in 2016 and now proving every bit as bold and confident as promised – the 330 Outrage gives breathtaking performance!